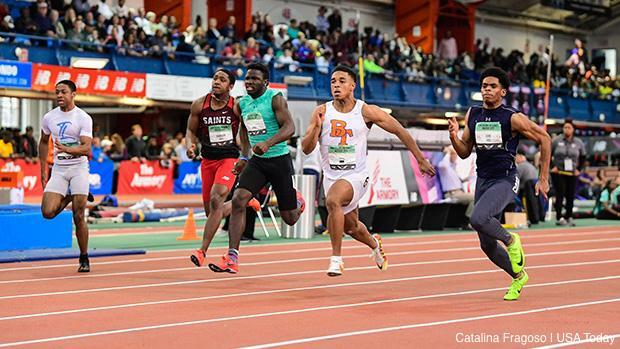 It was anyone's guess on who would take the Boys Championship 60m Dash on Sunday. After a huge prelim effort from Mario Heslop and a solid response from Lance Lang (MO) in the semis this morning, the race was too close to call. In the end, though, it was Benson (OR)'s Micah Williams for the win in a new US No. 1 mark 6.60. Williams entered the weekend at No. 2 behind Lang and laid low throughout the qualifying rounds before breaking through for the victory in the finals. The boys would swap places in the national rankings, though, and Lang would go on to finish second in 6.65. Behind them was Heslop in 6.73 followed by Plainfield North (IL)'s Marcellus Moore. Continuing the trend of successful Williamses, Northeast (FL)'s Briana Williams brought home the gold in the girls 60m dash. 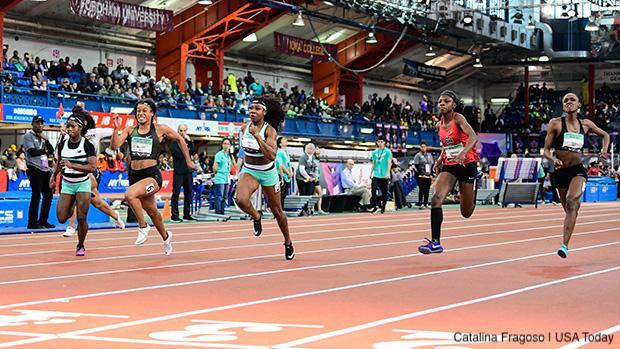 Once again too close to call heading into the final as Girard College HS (PA)'s Thelma Davies put up a fight throughout the qualifying rounds, Williams was able to dig into her outdoor short sprint prowess and eke out the victory on Sunday. Williams' 7.28 puts her at US No. 2 -- 0.01 ticks behind fellow Floridian Tamari Davis -- and tied for US No. 13 all-time. Coming across in second was Davies in 7.30 and Brebeuf Jesuit (IN)'s Semira Killebrew crossed in 7.34.